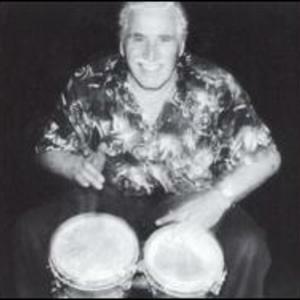 Jack Costanzo is known and responsible for the popularity of the bongos all over the world. He introduced bongos into American music when he was with the famous Stan Kenton Band, which shot him to jazz fame overnight. Jack recorded with Stan such favorites as The Peanut Vendor, Bongo Riff, Cuban Carnival and about fifty other recordings. He was also featured at the famous Carnegie Hall with Stan Kenton in concert, which broke all attendance records. Jack next joined the late great Nat King Cole which caused the King Cole Trio to be changed to Nat King Cole and the Trio, featuring Jack Costanzo. Jack recorded on many of King Cole's hits, including Calypso Blues, Lover Come Back To Me, Lush Life, Alakazam and Yes Sir That's My Baby. Jack stayed with Nat almost five years, appearing all over the world, including the world famous Palladium. They also did The Ed Sullivan Show three times, Jack was featured on each show. After Nat King Cole, Jack joined Peggy Lee and was prominently showcased by Miss Lee in her act throughout the country. Jack Costanzo also worked and was featured with Betty Grable and Harry James, Judy Garland, Jane Powell, Ray Anthony, Martin & Lewis, and the never to be forgotten record breaking engagement at the Hollywood Interlude and Crescendo with the frantic Frances Faye, who featured Jack throughout her whole act, giving him ample opportunities to play wild bongos. Mr. Bongo finally started his own band from which he opened a whole new era for himself. He appeared with Dinah Shore as a featured artist at least seven times, the year Dinah Shore's Show won every award there was to win in a musical category. Jack also appeared with Marlon Brando on the Edward R. Murrow Show three days after Marlon won his first Academy Award Oscar, for On The Water Front. Recording offers started coming in, and Jack recorded his first album for Crescendo Records called Jack Costanzo (Mr. Bongo) And His Afro Cuban Band, (which has been re-released recently on a CD) Jack then signed with Liberty Records and did seven great albums for them. Leonard Feather, the late famous jazz critic named Costanzo "Mr. Bongo". Jack Costanzo has appeared as an actor and musician in many motion pictures. To name a few, Jerry Lewis - Visitor to a Small Planet and The Delicate Delinquent. Danny Kaye's - Man From the Diners Club. Red Skelton's - Stool Pigeon Number 1. Pat Boone's - Bernadine. The Satin Bug. Costanzo's last movie was a picture called Harem Scarum staring Elvis Presley, featuring Jack musically and as an actor throughout the whole picture. Mr. Bongo's television appearances number so many that we can only name a few. The Hollywood Special on Jazz, The Hollywood Special on Latin and It's Influence on Jazz, The Art Linkletter Show, during which Jack did a five minute solo coast to coast. He also was highlighted with Ann Miller on the Dinah Shore Chevy T.V. Show, which received rave notices. They later appeared on The Ed Sullivan Show. Jack appeared with his own show, featuring Gerrie Woo, at the famous Sands and Tropicana hotels in Las Vegas. They also did a Far East tour ending at the El San Juan Hotel in Puerto Rico. Mr. Bongo's fans, some of which studied bongos with him, reads like a Who's Who in Hollywood. They include: Marlon Brando, Rita Moreno, Carolyn Jones, Hugh O'Brien, Keenan Wynn, Van Johnson, Tony Curtis, Frank Sinatra, Judy Garland, Betty Grable, Vic Darnone, and the most unlikely Gary Cooper, who was one of Jack's most avid pupils. Jack Costanzo is one of the world's greatest percussionists on Bongos & Conga Drums!! !